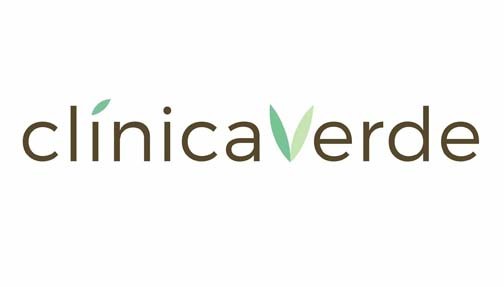 Clínica Verde has already established itself as the leading medical cannabis dispensary operator in Puerto Rico, with five additional operating dispensaries. Future Farm Technologies Inc. announced Thursday a joint venture between Future Farm and TCG Investments, LLC, owners of the Clínica Verde brand of medical cannabis dispensaries to open five locations in Puerto Rico. Future Farm has been working for several months on this opportunity to own an interest in five dispensaries, which have the potential to provide consistent cash flow. While Hurricane María’s devastation to the island was cause for concern, Future Farm remains committed to helping its partners expand their dispensary presence in order to provide the people of Puerto Rico with a reliable source of medical marijuana, as well as continuing to create a diversified portfolio of cannabis investments for Future Farm’s shareholders, the company said. Future Farm looks forward to contributing to the expansion of the medical cannabis industry, which is a key driver for the future economic development of Puerto Rico, it added. “Our existing stores are located in high-traffic locations and ever since our launch in February we have enjoyed sustained sales growth,” said Ramón Ortiz, CEO of Clínica Verde. “We look forward to expanding our presence to 10 stores in Puerto Rico, creating jobs and offering our patients the highest level of service,” he said. “The patient registration process was recently simplified and is now quicker and more accessible to all. We believe we will be able to start building out the new dispensary locations this year and look forward to a Q1 2018 opening,” Ortiz added. Medical marijuana is legally used in Puerto Rico to address more than a dozen conditions, including Alzheimer’s, cancer, Lou Gehrig’s disease, Parkinson’s, rheumatoid arthritis, Crohn’s disease, epilepsy and more. On Oct. 6, Puerto Rico’s Department of Cannabis’ board approved allowing patients to go to any open clinic, regardless of the dispensary they had been assigned. The new rule lasts until two weeks after the state of emergency has ended or until the board decides to terminate it. “We’re pleased about the revenue opportunities these five major dispensaries open up to us as we provide medical marijuana patients with legal, consistent, pure flower, edibles and concentrates,” says Bill Gildea, CEO of Future Farm Technologies. “Puerto Rico, with a population of almost 3.5 million residents and another 4 million annual visitors, is an exciting, new market for Future Farm,” he added. The local population compares well to other states that have legal cannabis. By way of example: Colorado has a population of about 5,540,545, Utah 3,051,217, Arizona, 6,931,071 and Nevada has 2,940,058. Puerto Rico’s medical marijuana industry has full governmental support, which means the island could become the cannabis tourism mecca of the Caribbean. The island’s cannabis law includes a reciprocity policy that allows dispensaries to serve patients whom are visiting for business or just on vacation, as long as they hold a medical marijuana card from their home state. Hey Buddy!, I found this information for you: "Future Farm to open 5 medicinal cannabis clinics in PR". Here is the website link: https://newsismybusiness.com/medicinal-cannabis-clinics/. Thank you.